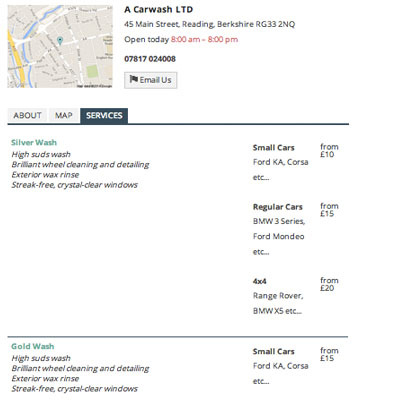 Get Car Clean is the largest UK directory of car wash, valeter and detailing services. If you own your own car wash business we can help you with Car Wash Advertising Ideas. We can help you to promote your services to thousands of people looking to get their car cleaned quickly and professionally. You can list your services, pricing, contact information along with your opening hours. We will list your business with a clear map enabling your customers to find you quickly and easily. 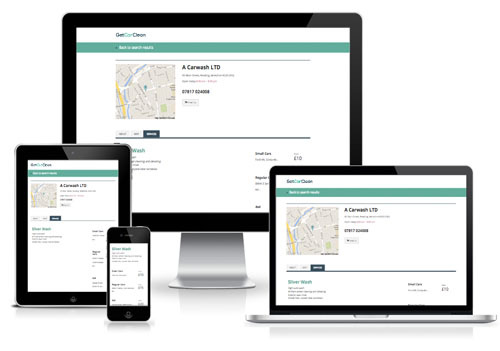 Our site is fully responsive which means your business will look just as good on mobiles and tablets. Our unique GeoLocation feature helps your customers to drive to you in minutes. We actively advertise to customers in your area. Our site is optimised for keywords YOUR customers are using in search engines to find YOU!